I feel great reading a post this morning from a sister on my friends list. The post and some of the comments clearly corroborate my worry and fear on this issue of prophetic medicine and its so called practitioners. The healing system known as Islamic medicine first attracted my interest as a foreign student at the Islamic university in Selangor. The University, though Islamic, was not running an academic course on this therapy, but it was a dominant practice amongst students. As a foreign student, i was on IDB scholarship for a Masters program in the department of information science, but a Bruneian colleague of mine, Ahmad, had a learned uncle, Hadj Shakeeb, who specialised in the practice of this healing therapy. Each time we had a long vacation, I spent some valuable period with my friend and the family of Hadj Shakeeb to closely watch the later attend to his numerous patients with the use of those highly efficacious prophetic herbs and what he called Sunne (Sunnah) exorcism. I was eager to learn and I did learn a lot from him on herbal mixture probably because I knew virtually nothing about the idea of prophetic herbs or what he usually identified as E’sheb Nebawi before I left Nigeria. Infact, sincerely speaking, I didn’t know there was anything like Habat Sauda while at home. But through his therapeutic practices, I got to know of more than a hundred herbal practices prescribed by the holy Prophet Muhammad or earlier used in the first three hundred years of the Islamic era. However, I found some aspects of Hadj Shakeeb’s exorcism practice highly questionable. For example, the idea of burning papers with inscriptions of some Quranic verses for the afflicted to inhale is, to me, very blasphemous. Yet, I found him highly skilled in the healing system. It was on my return to Nigeria that I later discovered that a lot of our people, especially in the North and some parts of the South West Nigeria are much involved in this practice, but in a hazardous way. Going round the practitioners, I realised that hunger, occasioned by the prevailing unemployment in the land, rather than a requisite skill, basically informs the practice. Thus, the quackery creates enough jobs that can feed and clothe the untrained practitioners. Without harbouring the fear of being booed, I make bold to say that most of those who claim to practise this therapy are quacks. But I didn’t realise this fact until i witnessed three major things; two of which are sad, but one is pleasant to the heart. Some years ago, a friend, who is a University of Benin-trained PhD in English literature lost one of his eye balls to a toxic concoction in the name of prophetic medicine; and with this sad occurrence, I became so furious that I was almost starting a campaign against the idea of this medicine when I encountered what refreshed my heart. It was during one of my frequent itinerary in the Persian Gulf, I visited Manama on an official trip. It’s the capital of Bahrain, the biggest city in the territory that houses the largest financial institutions in the region. It was in Manama that I found the prestigious Ma’ahd al I’laaj al Islami al A’lami, otherwise known as International Institute of Islamic Therapy; a large Islamic center equipped with modern laboratory, rich library and herbal specimen of various species where experts and Muslim scientists work assiduously in training prospective therapists and conducting scientific researches in different areas of the Islamic healing therapy. Two years after, I was also privileged to visit the college of Medical sciences of the famous Aligha Muslim University of India. My visits to these institutes clearly confirmed that, indeed, there’s something called prophetic medicine; but what is largely operative in Nigeria, in the name of that therapy, vividly stands in contra-distinction to the actual practice of that medicine. What’s meant by Prophetic medicine? Islamic therapy or prophetic medicine contains a list of those herbs, food, drinkable liquid or curative therapy mentioned in the holy Qur’an or specifically prescribed by the holy Prophet Muhammad, as reported in any authentic tradition, for a healing purpose. The list also includes any legitimate healing process or herbal remedy earlier used in the first three hundred years of the glorious Islamic era. Thus, herbs, such as the common anti-jinn Persian Alteet used by the early Muslims, though unknown in the Quranic age, equally falls in this category. The holy Qur’an may not have categorically prescribed a herb for a healing purpose, but a mere mention of a seed, plant or substance in the holy scripture, as much as the Shari’ah confirms its halal status, grants it the blessing of belonging to the class of a healing therapy. 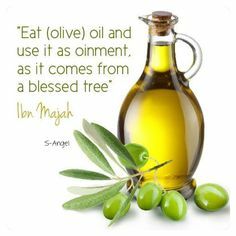 Thus, the herbal substances, such as Zaitun (olive), Tin (Fig), A’sal (Honey), Haba (corn), I’nab (Grape), Zanjabeelah (Ginger) and many more are mentioned in the holy Qur’an; while Qistul Hind, Qistul Bahri, camel milk and urine, Athmad, Habatul Barakah, Talbeenah, Hijaamah and many more are also recommended for both protective and curative purposes by the holy Prophet. In truth, the existence of these healing therapy actually predated the advent of Islam, but they gained prominence as prophetic medicine simply because of the blessings accorded them by the holy Prophet in prescribing them. In some occasions, we’re witnesses to the efficacy of this healing system where the orthodox medicine fails to resolve a health challenge. But the lack of any appropriate scientific research on prophetic medicine, coupled with the arbitrary use of those herbs by untrained practitioners, make it doubly harmful to the health of any patient. Herbs are mixed without considering the hazards of herbs interactions as well as the medical history of the patient who takes the mixture. Any medical condition reported by patients is offered a “remedy”, even if the ailment is alien to the practitioners. Many a time, we drink poisons for a healing purpose; and oftentimes, the patient’s ill-health condition is aggravated. Certainly, many are known to have been killed ignorantly by these quacks. But who would hold a quack accountable? Worse still, since the practitioners have a limited understanding of the Sunnah therapy, they do adopt the practice of native roots, as well, to augment their ignorance and also boost their trade with probable stories of success, yet they call it prophetic medicine, and when it fails or kills, the Prophet is blamed for prescribing a failure or poison. A few weeks ago, I was extremely sad listening to a sincere practitioner confess to me that all their efforts (of prophetic medicine) have always been based on mere ideas and conjecture, and not actually on acquired skill or training. He confessed the truth after witnessing the annual seminar held in December, organised by the International Institute of Islamic Therapy in Abuja. Thus, it’s all about securing a means of survival, even with the risk causing harm to a help seeker. But then, how do you feel quenching your thirst with another person’s tears? The solution is that the Muslim Ummah must start taking interest in the practice of this medicine; and then sponsor the practitioners for training programmes. They can also expose them to some medical ethics and some level of paramedical training, otherwise the entire community stands a risk! The Northern state governments, in particular, should quickly come to the rescue of the hapless masses whose belief in this remedy is already at the level of sacred allegiance. Saudi Arabia has for instance invested heavily in the scientific research on camel urine and milk, while Iran is spending heavily on saffron and musk, it won’t be bad if we started something here too! Finally, the government must regulate the practice!